What is our first step with lesbian surrogacy? Delaying your dreams of parenthood because of unbiased laws and judgmental individuals is not what we had in mind — we are here to educate you and further you on the road to parenthood. Take your time and become familiar with the lesbian family building options. Read through the Step by Step processes for lesbian women and the laws that can influence your family building process. Connect with one of our world-class surrogacy specialists (Find Providers) and begin your next chapter to become a mother. Do I have to be married for lesbian family building? Becoming a mother through lesbian family building options does not always entail being married. Typically, when you seek the help of a gay family building agency, you do not have to be married as there is a separate legal process for finalizing parental rights for lesbian individuals or couples. One of our experienced GaySurrogacy specialists, however, can help you navigate through your family building journey. How can we assure the health of our egg donor or sperm donor throughout this process? Our leading GaySurrogacy specialists strongly have confidence helping you achieve parenthood. While each surrogacy agency has a different protocol, the specialists we have partnered with behold an infrastructure that allows them to provide continuing improvement in lesbian family building options, expert medical advice and programs, and an overall support system. Our specialists ensure that each egg donor or sperm donor that you select on your family building journey is methodically screened and vigorous through the process. Can we register our baby under both of our names even if one of us is an egg provider? The legal densities in cases involving lesbian family building vary from state to state and can be a challenge for any individual or couple pursuing their dreams of starting a family. If you reside in a state where second parent adoption or co-parent adoption is legal, then both you and your partner can take the steps to be legally recognized as parents. 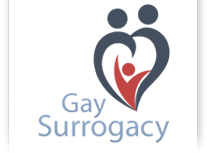 The goal of the GaySurrogacy platform is to ensure that you have the resources you need to become legal moms of your newborn baby. How do we become matched with a sperm donor? Our surrogacy specialist behold a contemporary blend of cutting-edge technology and partnered sperm donor banks that transcend into an easy donor matching process for lesbian individuals and couples. Choosing a sperm donor can be an intimidating process, however our specialists will make every step of the process relaxed and stress-free for you. Can we use our own sperm donor? Yes, you can use your own sperm donor (friend or relative), however most lesbian individuals and couples choose to use an anonymous donor to decrease health risks. If you use fresh sperm from a known donor, you bypass the safeguards and screenings offered by sperm banks. In addition, some state laws may require legal rights or child support responsibilities for known donors. What are the costs for surrogacy for lesbians? Surrogacy can prove to be challenging for gay men and lesbian women, not only because of the costs involved, but because the laws are different and continuously shifting. Our surrogacy specialists will help you to understand the costs of lesbian family before diving into your plan for parenthood, and you will have the opportunity to discuss the costs in detail before deciding on what plan is right for you.